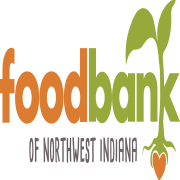 The Food Bank of Northwest Indiana is recruiting 10-12 individuals who are interested in joining a Volunteer Strategic Leadership Team (SLT) to help with our mission of addressing food insecurity and hunger in Northwest Indiana. The SLT will be responsible for leading 4 quarterly initiatives in 2019 (March Madness, The Soiree, Hunger Action Month, and #GivingFoodsday). This is a great opportunity to use and/or grow your leadership skills, and make a significant impact in the community. Meetings will take place once a month, with specific dates and times to be determined. If you have questions or need additional information, please contact Allyson Vaulx, avaulx@foodbanknwi.org or 219-980-1777.